Minister for the Environment, Community and Local Government Mr. Alan Kelly TD today (Monday, 8 September 2014) launched a brand new website dedicated exclusively to the promotion of the Lakelands Lough Derg region. www.discoverloughderg.ie provides visitors to the region with information on places to visit, events, accommodation providers and restaurants, special offers, and land and water based activities. The website is one of a number of marketing initiatives being rolled out over the coming months and during 2015 to establish the Lough Derg area in counties Clare, Galway and Tipperary as Ireland’s premier lakeland destination. 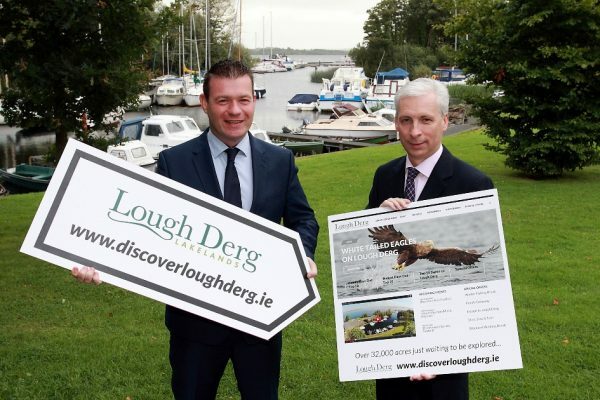 “Lough Derg is the most important tourism asset in this region, and the lake has the capacity and the potential to entice and host domestic and international visitors alike,” stated Minister Kelly at the launch ofwww.discoverloughderg.ie. The Minister added: “We need to continue to work on increasing the demand for lakeside and leisure activities and attract tourists into the Lakelands Lough Derg Region. An online presence is just one activity to assist us in doing this”. Minister Kelly confirmed that a €2million stimulus package is being invested to progress the objectives of the“Roadmap for Experience Development and Destination Marketing Plan 2014-2017” for Lough Derg, which was launched earlier this year. Implementation of the Plan is being co-ordinated by the Lough Derg Marketing Group (LDMG), comprising Fáilte Ireland, Waterways Ireland, Inland Fisheries, Clare, Galway and Tipperary County Councils, LEADER and tourism trade representatives from the private sector. In addition to the website, the LDMG has coordinated a promotional video for the Lakelands Lough Derg Region, which is available to view on the newly launched website and which local tourism businesses are encouraged to incorporate into their websites. Lakelands Lough Derg will also be promoted on websites across France and Germany later this year, while a domestic marketing campaign is planned for the national print and broadcast media in early 2015. Joe MacGrath, LDMG Chairperson and Chief Executive of Tipperary County Council commented: “One of the key objectives outlined in the Roadmap is to improve orientation around Lough Derg for visitors. This will be achieved by erecting new signage to create a sense of arrival and enhance the visitor experience in exploring the area. It will focus on the three counties of Clare, Tipperary and Galway that border the lake with signage from motorways to the regional and local roads included in the scheme. Work is progressing in relation to this project and new signage is expected to be put in place in 2015”. “The marketing and promotion of Lough Derg is an ongoing process,” explained Áine Mc Carthy, Tourism Marketing Coordinator for Lough Derg, who added: “For example, the Lough Derg Marketing Group launched a pilot food tourism initiative, A Taste of Lough Derg 2014, in June of this year which became an instant success generating public attention on social media through a series of events organised by the tourism trade in July and August. The initiative, which continues this month has created a significant interest in local produce available around Lough Derg and has heightened awareness of Lough Derg as a food tourism destination”. 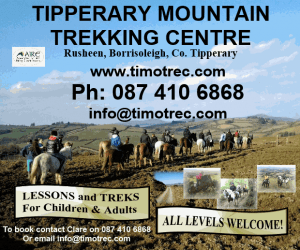 “The initiative will be extended next year to get more of the tourism trade involved, with more events taking place throughout the summer months offering visitors to Lough Derg a choice of food events to attend,” added Ms. Mc Carthy. Meanwhile, the LDMG has been involved in an EU Project called TRAP (Territories of Rivers Action Plans) since March which involves improving stakeholder engagement around Lough Derg. 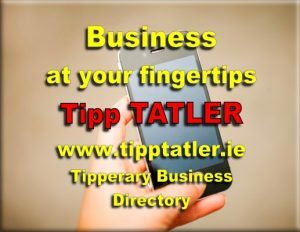 Businesses wishing to be added to www.discoverloughderg.ie or to have their details updated should send an email to info@discoverloughderg.ie.